Pumpkin season is in full swing, and if you're an autumn lover like me you've no doubt been stocking up on pumpkin flavored everything! 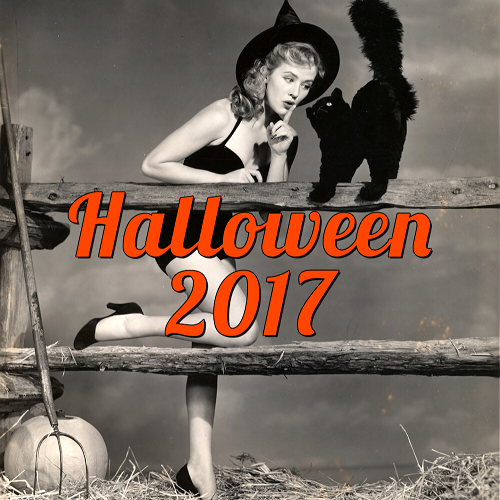 I've been busy scouring grocery stores and stocking my home with pumpkin products, just so I can report back to you the very best vegan pumpkin products of 2015. 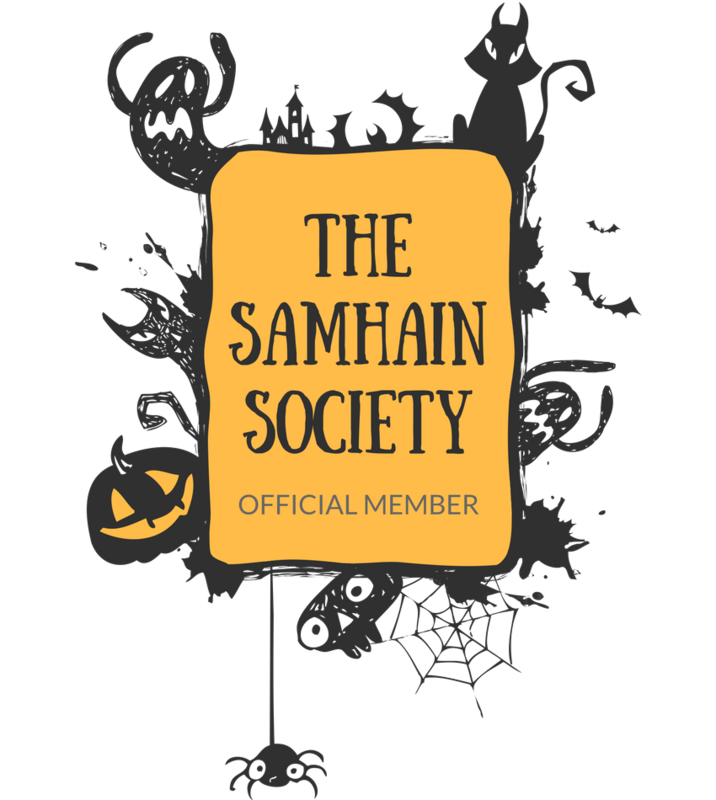 Yes, I've been enjoying delicious pumpkin items all for you, dearest readers! 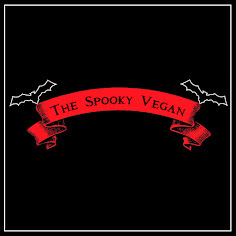 Ok, and maybe a bit for me, but all on behalf of science to bring you the very best vegan pumpkin products! 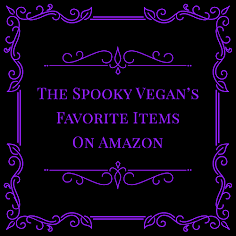 I present you the fruits of my labor with my list for the top 10 best vegan pumpkin products you must try now! 1.) Dandies Pumpkin Marshmallows - These magical fluffy marshmallows are perfect straight out of the bag for a sweet pumpkin kick, but are even better piled high on some hot cocoa, made into pumpkin spice crispy treats (recipe), or baked into your favorite autumnal recipes! 2.) Trader Joe's Pumpkin Bagels - If I could have these for breakfast every day forever, I totally would! They pair perfectly with some vegan cream cheese, pumpkin butter, peanut butter, or sliced bananas/apples! 5.) 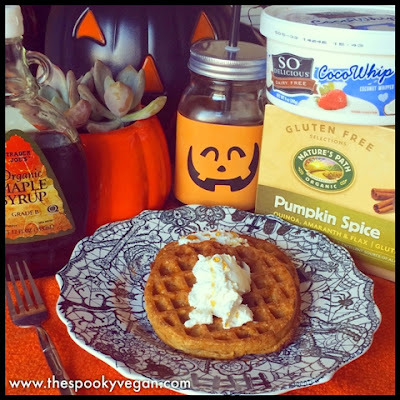 Nature's Path Pumpkin Spice Waffles - These are a staple in my house from August to as long as I can find them in stores! They make the easiest, yummiest breakfast, especially when topped with So Delicious' Coco Whip as shown above! 7.) Food Should Taste Good Harvest Pumpkin Tortilla Chips - There seem to be more and more pumpkin tortilla chips every year, but these are the best I've found so far! They have the sweet taste of pumpkin, but also a salty, savory flavor. They are so versatile and work well in a variety of dishes - I like them in nachos (as shown in the pic above with Heidi Ho's amazing Chia Cheeze Sauce), dipped in guacamole or salsa, or even crushed up and sprinkled over ice cream. 8.) Sprouts Old Fashioned Pumpkin Snaps - I always buy a multitude of these so I have enough to last me all year! They have the perfect crunch and ginger bite, with sweet pumpkin and cinnamon spices to round out the flavor. My favorite way to eat these is dunking them in coffee or tea. 9.) Trader Joe's Pumpkin Rolls - Pumpkin Cinnamon Rolls. Do I need to say more? Not really, but to elaborate, these Pumpkin Rolls from Trader Joe's are the ultimate autumn comfort food and are made for lazy weekend mornings. 10.) Peanut Butter and Co. Pumpkin Spice Peanut Butter - Slather it on everything, from toast, apples, bagels, ice cream and so on! How yummy would a Pumpkin Spice Peanut Butter and apple jelly sandwich be? What are your favorite vegan pumpkin products so far this season? i have not seen the pumpkin butter! i liked the oreos pumpkin cookies over the tj's one - even though i find oreo's super sweet. I must have everything on this list! i have not seen the Pumpkin Snaps, the Peanut Butter or the Heidi Ho Cheeze Sauce here in Central FL.